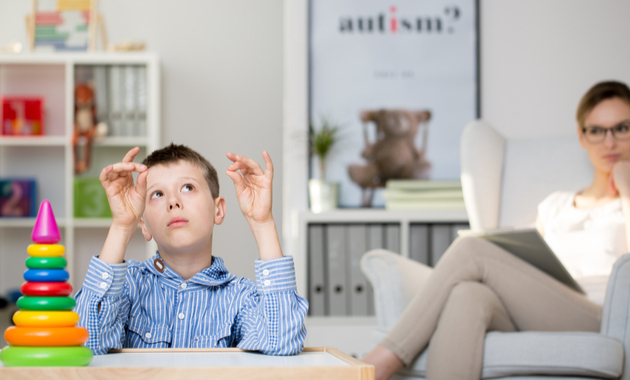 Home » Health A-Z » World Autism Awareness Day: 7 Things To Know About Autism! World Autism Awareness Day is observed on 2nd April every year. The theme for this year is “Assistive Technologies, Active Participation”. The occurrence of autism spectrum disorders (ASD) has been increasing worldwide, with the most recent prevalence studies indicating that they are present in 6 per 1000 children. Autism is considered to be a common disorder in the West, however, it is also quite common in countries like India. The prevalence of this condition in India is one in 500, which clearly indicates that it is not a rare disease. However, there is no awareness about the condition which is the reason not many people are aware of the symptoms, diagnosis and treatment of the condition. On the occasion of World Autism Awareness Day, it is important for everyone to know about the condition so as to actively participate and help in the management of the condition and improve the quality of life of an autistic kid and adult. Here is a list of top 7 things YOU need to be aware of about autism. #1. Autism is one of the most common neurodevelopmental disorders known as pervasive developmental disorders (PDD). It is characterized by impairments in social interaction, communication and restricted and repetitive behaviours. Currently, ASD is included in the diagnostic category of neurodevelopmental disorders in the Diagnostic and Statistical Manual of Mental Disorders V (DSM-5). #2. In most cases, children with the condition are diagnosed only after they start to attend school, which is usually after the age of 4-5 years. And this is the reason, most people tend to feel it is impossible to look for any red flag symptoms of autism in younger kids. However, it is possible to diagnose autism in kids older than 24 months of age because these kids tend to show signs of development. Hence, keeping a close eye on developmental milestones when your kid is growing can help in the early and proper diagnosis. For example, check if your child is making vowel sounds such as “ma” or “ba” by a year, shaking head in response for a yes or no, looking at the eyes or smiling/laughing at you (not rarely but quite often) or responding to his/her name. If not, then it is a sign to consult a developmental specialist or paediatrician. In some cases, the disorder reveals itself only subtly so that the first diagnosis is made in adulthood. #4. It is a common misconception that every autistic kid has an exceptional intelligence quotient (IQ). Not every but some, relatively rare kids are gifted in the areas of art, music and arithmetics. They form only a small percentage of all the kids with autism. These people exhibit genius IQ levels and exceptional musical abilities. Autistic kids with such exceptional IQ levels are known as autistic savants. #5. Autism can also put you at risk of various health problems. It is associated with comorbidities such as sleep deprivation (insomnia), epilepsy, attention deficit hyperactivity disorder (ADHD)-like hyperactivity, mood disorders, motor and sensory abnormalities and intellectual disability. Approximately one out of every four individuals with autism experiences seizures, which is remarkably higher than rates in the general population. Moreover, autistics are at a higher risk of developing chronic health problems and compromised immunity. #6. It is a lifelong condition and every child with the condition is one of a kind because the symptoms can differ from person to person. The common symptoms of autism include hesitation to speak, repetition of words, introvert-like behaviour, lack of social interaction or communication, reluctant to have eye contact, no response to calling of a name, ignorance to listen, playing alone and in his/her own world, etc. These kids may also have an obsession with certain things like toys, water bottle, bag, dresses, etc. They are also known to show repetitive behaviours such as flapping of hands, twirling or flipping an object, spinning of fingers, etc. #7. There is no cure for autism but early intervention can improve the quality of life and help autistic kids to do better. The treatment options for autism vary from one person to the other. Usually, the treatment approach involves the use of behavioural therapy, speech and language therapy, social skills training, occupational therapy and physical therapy. In some cases, therapies such as anger management, sensory processing, music therapy, art therapy, and family therapy are also advised. The main aim of all these therapies is to improve the basic communication, social and behavioural skills in autistics. 1. Faras H, Al Ateeqi N, Tidmarsh L. Autism spectrum disorders. Ann Saudi Med. 2010 Jul-Aug;30(4):295-300. 2. Autism. Rehabilitation Council of India. Online. 3. Park HR, Lee JM, Moon HE, Lee DS, Kim BN, Kim J, Kim DG, Paek SH. A Short Review on the Current Understanding of Autism Spectrum Disorders. Exp Neurobiol. 2016 Feb;25(1):1-13. World Cancer Day: Is Sugar And Cancer Linked? 7 Effective Tips To Boost Your Sexual Wellness! Why Indians Are More Prone To Heart Diseases?